That's exactly what happened to 64-year-old Larry Friedrich, who runs a medical hemp business, Doc Holiday’s Medical Hemp Dispensary, at Renninger’s Super Flea in Melbourne. Just before Christmas, he was served a warrant by Melbourne police on suspicion of marijuana and drug paraphernalia sales. Several officers entered his store, searched him and his business before leaving with what they suspected were illegal cannabis products. 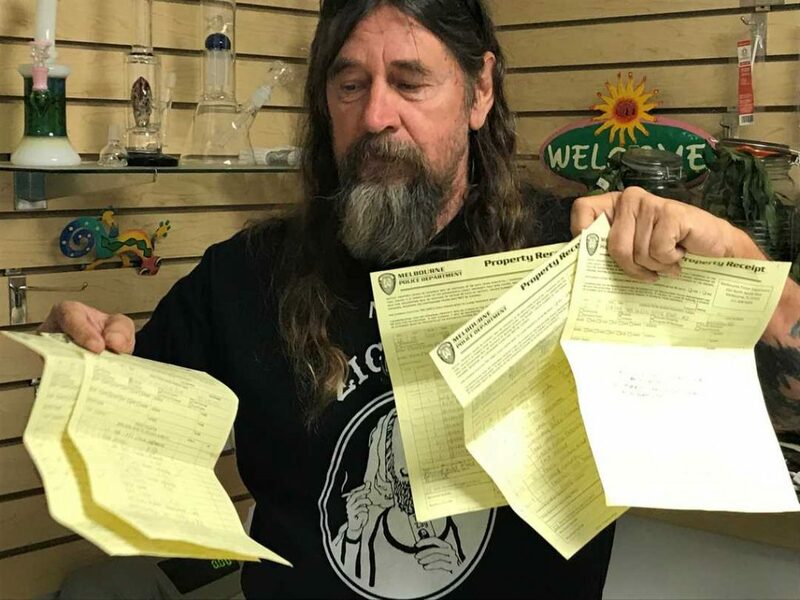 Friedrich said he lost tens of thousands of dollars in sales because police confiscated his inventory of plant material, hemp oil, lollipops and other edibles, just as people were shopping for the holidays. No charges have been filed, but Friedrich said the detective working the case told him to expect felony charges because he was going to recommend prosecution to the State Attorney's office. "He said, 'Listen, I think you're a nice guy and we'll let you know in a few months when we're going to come arrest you and take you to jail,' " Friedrich recalled the detective telling him. It's a scenario that's playing out across Florida. 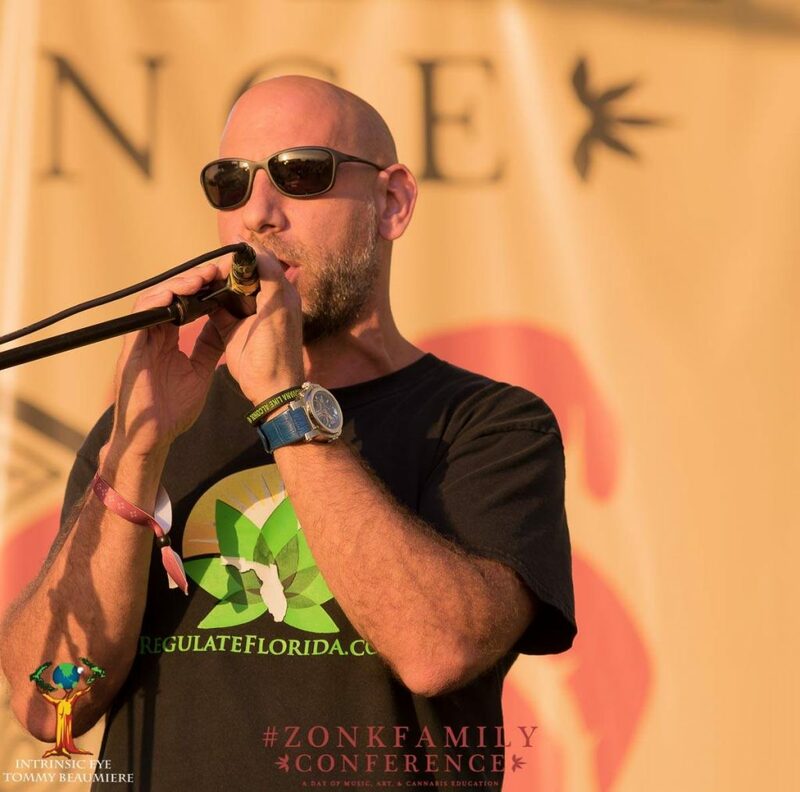 As marijuana laws become more liberal in many places, and medical marijuana dispensaries open around the Sunshine State, both law enforcement and those selling cannabis and hemp products, including cannabidiol, or "CBD" oils, are navigating a hazy landscape of what's legal and what isn't. Last November, Tallahassee police raided a business called Natural Life — the second time in two months — seizing about $25,000 worth of hemp flowers. Products like CBD oil and flowered hemp, some claim, have natural anti-anxiety effects, anti-seizure effects, anti-tumor effects, anti-inflammatory effects and can be used to battle a host of mental illnesses and substance abuse disorders. Friedrich’s lawyer, Michael Minardi of Tampa, said as states change marijuana laws and cannabis proliferates and specialty strains are grown, he’s seeing more hemp business operators like his client facing serious legal consequences for selling flower material with low levels of tetrahydrocannabinol, or THC. That also could include products like edibles and oils that have THC. These are products that have been deemed OK by the federal government in a roundabout way, Minardi said, but in some states and communities it's often up to the whim of law enforcement and state prosecutors to decide whether an individual is violating the law. “It’s something we’re getting calls for all the time,” said Minardi, whose practice is centered on marijuana issues in Florida. “People have to stop living in fear and start understanding the issue,” Minardi said. It may look like traditional marijuana but Larry Friedrich, owner of Doc Holiday's Tattoo Medical Hemp Dispensary, said it contains extremely low levels of THC which he and his attorney say is not illegal. In Florida, low-THC cannabis is different from medical cannabis because contains very small amounts of THC. Because of its low potency, the products don't bring on euphoric properties of full-potency cannabis and typically do not result in patients experiencing the “high” commonly associated with cannabis. 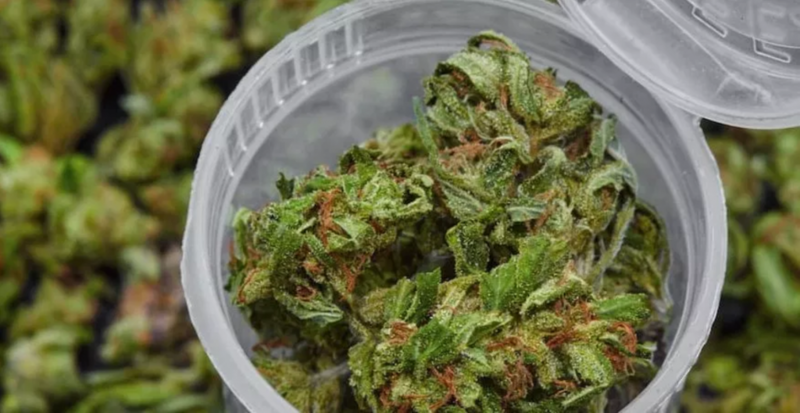 In Florida, to qualify as low-THC, the flowers, seeds, resin, and any other product derived from the cannabis plant must contain 0.8 percent or less of THC. On the federal side, the Agriculture Improvement Act of 2018, signed into law last December, removes hemp and related products with less than 0.3 percent THC as a controlled substance, and not illegal, under federal law. What this often means, though, is forcing local law enforcement to make a snap judgement if they suspect something amiss with a particular product. In Friedrich's case, he said he provided documentation to the officers that his flower hemp material had been tested and didn't meet the threshold of being over the 0.8 percent THC limit. In fact it was far lower, he said. 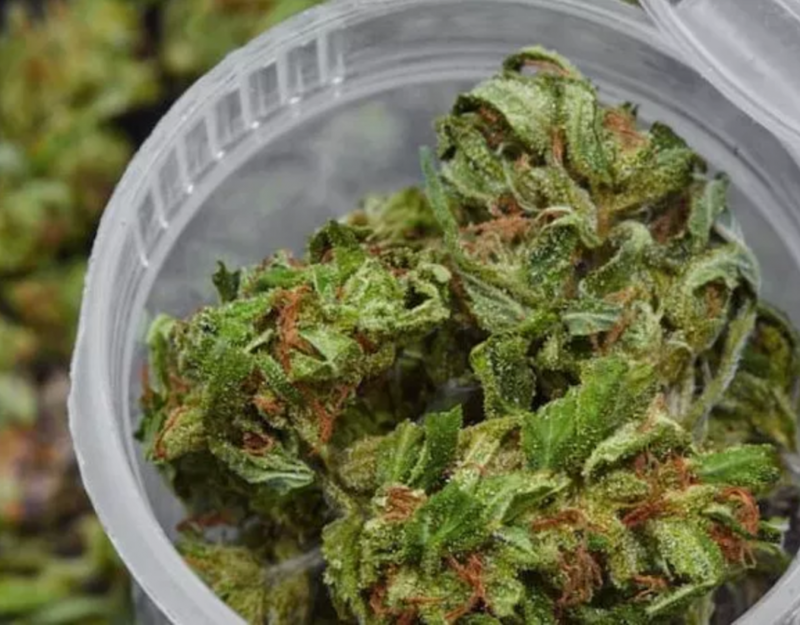 Before it was confiscated, he had about 15 pounds of a specialty strain — specifically grown to have very low levels of THC — from a hemp farmer in Colorado. "You could smoke this all afternoon and not get high," he said. "It provides a soothing effect." 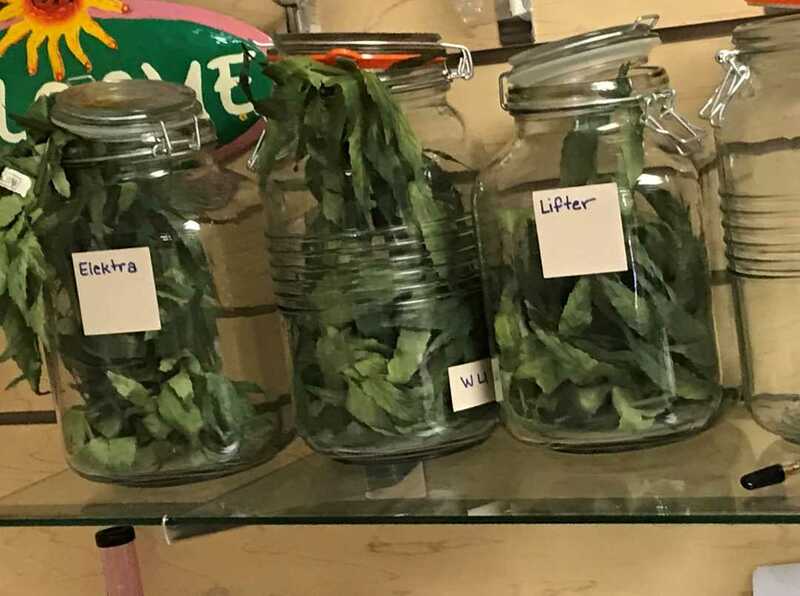 Friedrich opened a package of his flowered product when FLORIDA TODAY visited his shop and it seemed to possess the characteristics of marijuana: it looked and smelled like pot. It didn't really matter how much THC was in the hemp flowers, police said. That it has any THC makes it a controlled substance, they said. "The law is very clear what is, and is not, legal," said Commander Marc Claycomb of Melbourne police. 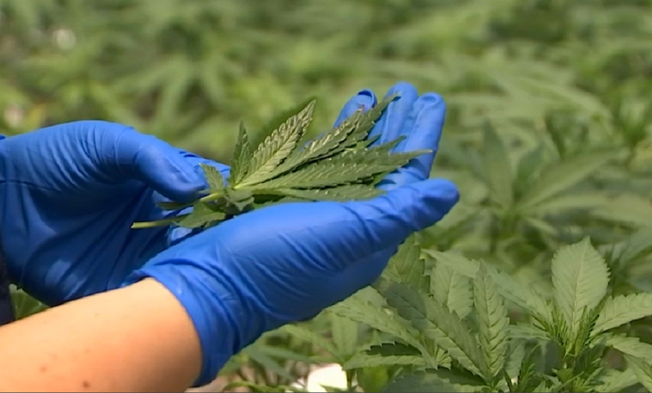 "The amount of marijuana/cannabis is what makes it go from a misdemeanor to a felony." Claycomb added: "We are only the enforcement side. The state attorney will decide what goes forward as the formal charge. There have been no arrests made in this case to this point. It is still under investigation." 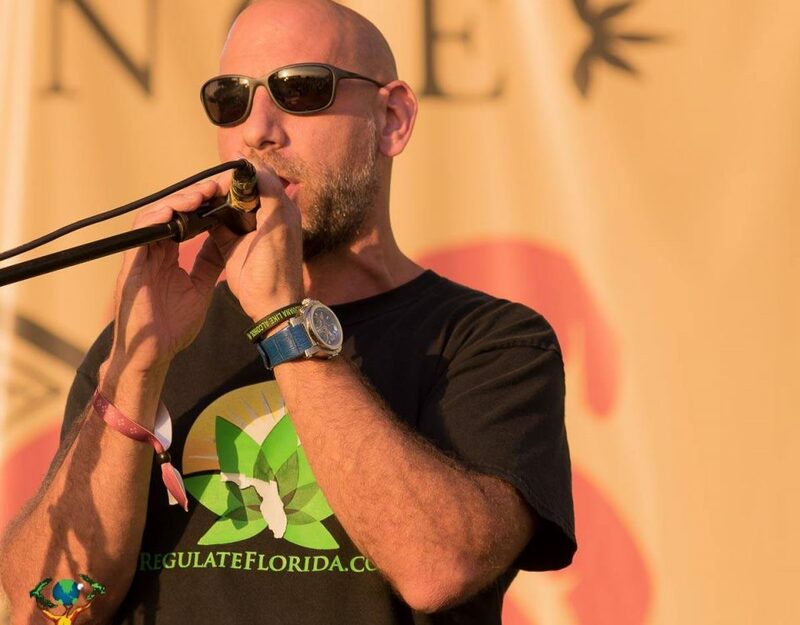 Minardi,chairman of Regulate Florida and a cannabis industry advocate, said all this contradicts the 2014 U.S. Farm Bill Act, a Ninth Circuit Court of Appeals ruling against Drug Enforcement Agency interference in hemp commerce from earlier this year and an administrative law judge’s ruling that the plant is not a Schedule 1 drug and can be sent through the mail. He suggests the best way to proceed on these cases is to have a discussion with police, and prosecutors, to iron out definitions of legal and non-regulated THC, which would save a lot of money and more time for law enforcement to focus on bigger drug issues. "Many products that are sold in Walmart, Whole Foods and similar stores," Minardi said, "would test positive and be illegal under the current testing methods used by law enforcement in Florida."